The 11th APEC Women Leaders Network (WLN) Meeting started in Ha Noi Tuesday to discuss measures to promote cooperation among businesswomen in the Asia-Pacific region. The meeting discussed and passed four initiatives: improving info-tech capacity and promoting business assistance services to support businesswomen; helping women do business in the global economy; promoting the development of super-small, small and medium enterprises (SME); and helping women deal with social and environmental issues, said Ha Thi Khiet, chairwoman of the Viet Nam Women’s Union. She added the initiatives will be brought to APEC SME Ministerial Meeting slated for September 28-29, and then submitted to the APEC Summit in November, also in Ha Noi. 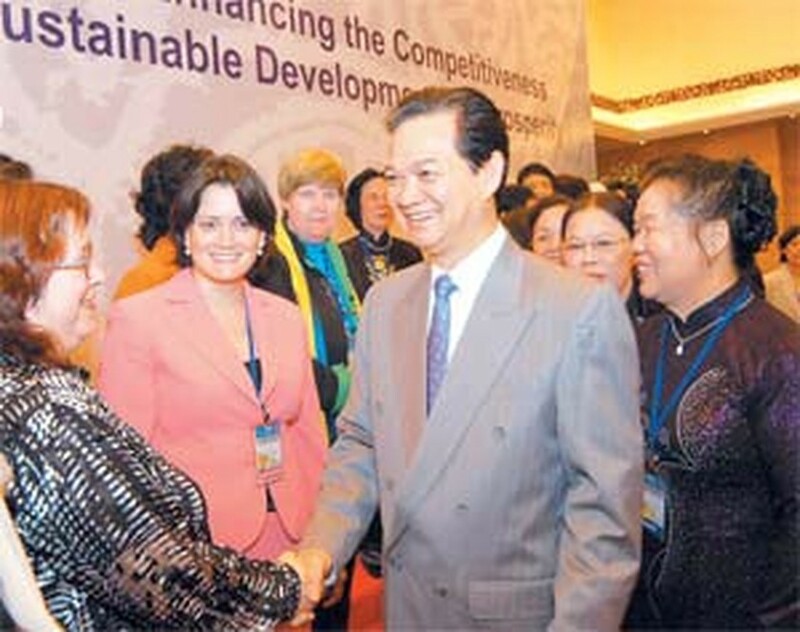 Addressing the WLN meeting’s opening ceremony, Vietnamese Prime Minister Nguyen Tan Dung appreciated WLN’s role the APEC’s success. He said the Vietnamese Government always seeks to ensure gender equality in all aspects, and has issued regulations to support SMEs. He affirmed that businesswomen will be given priorities in the Government’s support programs. The meeting themed ‘Towards a Dynamic Community - Enhancing the Competitiveness of Women Business for Sustainable Development and Prosperity’ draws nearly 400 delegates from APEC member economies. Also on Tuesday, an APEC conference on human resources development opened in Ha Noi, chaired by representatives of the Vietnamese Ministry of Labor, Invalids and Social Affairs. Participants passed initiatives to build dynamic labor markets, improve working conditions, promote the workforce development, and increase the effectiveness of social welfares.